When you purchase from N4PY Software you get full email assistance from Carl. I always make every effort to respond to your questions within 2 hours if at all possible. N4PY Software is the leader in full station automation. If you are unsure of how to setup anything in your station, please ask me. Ham radio is my passion. Please send all emails for me to n4py at arrl.net. Substitute @ for at. for all three control programs after the first year. N4PY Software is your source for high quality, effective rig control software for your transceiver. N4PY offers rig control software for a wide variety of receivers from the Elecraft K3 to the Ten Tec RX 320 receiver. N4PY Software has been in existence since 1999. There are many reviews of this software on Eham. All N4PY Software will run for 10 days without a password. Just download the software you are interested in to get a 10 day free trial. And don't hesitate to ask any questions you might have by sending an email to me. When you purchase N4PY software, you can install the program on all your own computers for your own use. N4PY software is more than just a rig control program. It is also is a major equipment integrator. If you want to use Tmate2 or FlexControl or Behringer DJ controller and autotuners and amps and four or five different panadapter programs and winkeyer, then N4PY software is your only choice. All N4PY software programs run on windows operating systems Windows XP, Vista, Windows 7, Windows 8, 8.1 and 10 (including the 64 bit versions of XP, Vista, and Windows 7, 8 and 10). I have older versions on the "previous versions" page that will run on Windows 95, 98, ME, and 2000. Also any two radios that N4PY supports can be run in different N4PY instances and linked together so that one is a sub-receiver to the other. Acom 2000, Alpha 87A, KPA500, Tokyo HL-1.5KFX Amp, SPE Expert Amplifiers, AT-Auto Autotuner, LP-Pan, WaveNode, Steppir, LP-100a, LP-100, Up to 5 transverters. can be used with any radio I support, not just Yaesu. Added support for the Denkovi USB 8 relay board. This can be used for antenna control. Added the Behringer Studio 2A DJ Controller as a new knob device. Added the Behringer CMD Micro DJ Controller as a new knob device. Added support to all programs for the 4O3A Antenna Genius device. Added support to all programs for the 4O3A Rotator Genius device. Added support for the IC-7300 to the N4PY Icom program. Added the Yaesu FT-991 Transceiver. function for this fine watt meter. Send me an email for more info on this. Full support for the Flex Radio 6000 series without using SmartSDR CAT. This means any slice receiver can be controlled, not just slice A and slice B. Added full support for the Kenwood TS-990. The KX3 IQ outputs can be used with NaP3 for a full panadapter with no additional hardware. Pegasus Plus now has full support for Rohde & Schwarz XK2000 series and EK-890. Tentec Argonaut VI and Eagle fully supported in the N4PY Orion program. All programs now have support for the Perseus receiver as a Panadapter. and external logging programs to run at the same time without LP Bridge. All programs now have a method for receiving CW characters from contesting programs. This is most useful when running a client-server setup. The Icom program now has full support for a standalone Perseus receiver. 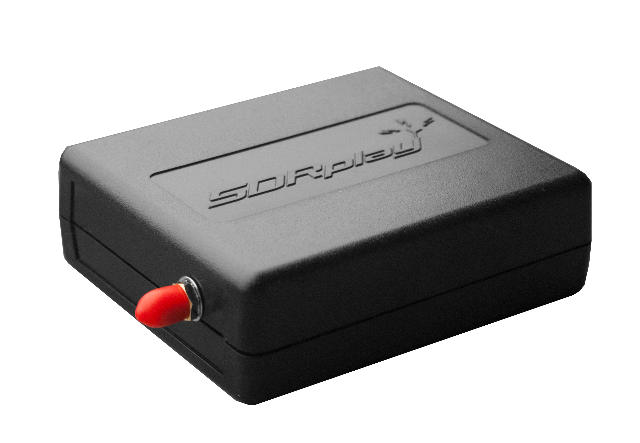 All programs now have support for the RFSpace SDR-IQ panadapter. All programs now have rotor support. All Programs now have support for TRX-Pan with LP-Pan. This panadapter has a much simpler installation as no virtual comports are required. The Pegasus Plus program now has support for the ADR2200 antenna switch. The Pegasus Plus program now has support for the Alpha 87A amplifier. The Icom program now has full support for the IC-9100 transceiver. The Pegasus Plus program now supports the Tentec RX-400 HF/VHF/UHF transceiver. All N4PY software now built with Microsoft Visual Studio C++ 2010. WaveNode Watt Meter now fully supported. Remote Mirrored Radio Operation for Two Identical Icom Radios. Now Available - I now have full support in Pegasus Plus, Icom, and Orion for the Behringer CMD Micro and Behringer Studio 2A DJ Controller. These devices have many knobs and buttons offering ultimate knob control for your radio. All the knobs and buttons are fully user definable. I now have support for the Denkovi USB 8 relay board. This board allows you define which relay is energized by frequency. In this way you can implement auto antenna selection by wiring these relays to control an antenna selector. These relay boards are very inexpensive and easy to hookup. 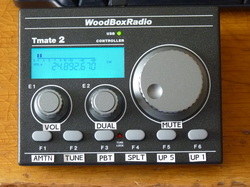 Announcement - I now have full support for the Woodbox Radio Tmate 2 device. This device has 3 knobs, 6 function keys, a display, and each of the 3 knobs are also a button. Each button can be configured to over 60 different functions in each N4PY program. This device does not have the classic focus problem. The N4PY program always has control over this device regardless of which program has the keyboard focus. Now Available - Finally a pod knob that will work with all radios and does not have the classic focus problem. tuning knob on their desk. The knob can control VFO A, VFO B, RIT, PBT, Volume, and many other things. 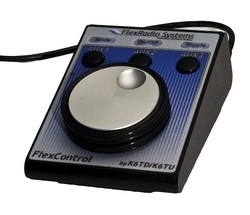 You can purchase this knob on the Flex radio website at www.flex-radio.com. Go to the Online Store and select "Accessories" to find it. N4PY Software has no connection with Flex Radio. Client-Server Now Available in all N4PY Products. and remote computer that communicate with each other for remote operation. 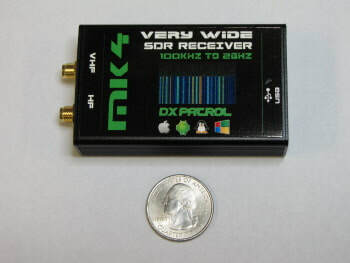 DXSPOTS - This is a DX Spots tracker. The program will track your DXCC totals by band, mode and overall. In addition, the program provides a simple logger to track your QSOs. You can upload .adi log files. WB4HUC provided an interesting YouTube Video of using Pegasus Plus with the Omni VII and several other devices. Click here to see it. WB4HUC also has a great video on CW usage. Click here to see it. LP-Pan panadapter. See www.telepostinc.com for information of these products. N4PY programs fully support the LDG AT-200PC Autotuner. when going to a new band without the need to transmit. N4PY programs fully support the Palstar AT-Auto tuner. simple way to manually select antenna positions via a mouse click. N4PY programs fully support the Tokyo High Power Amplifier HL-1.5KFX. it so that you never make a mistake and overdrive these amplifiers. have the correct drive level. N4PY programs fully support the K1EL winkey and winkey II keyer. buttons. No other program has this. different functions for the tuning knob. be VFOA plus 5 khz and turns on split. easy setup of radio memories. it back when the tune is complete. Automatic 10 minute CW ID. you don't have to worry about forgetting to lower your drive. for the current operating frequency. run with the program at the same time. Program will not allow you to transmit outside your license class. Full CW keyboard operation with 5 CW memories. Kenwood, Yaesu, and K3 voice recorder operation. User defined default filter, AGC, and step size for each mode. specific times and days of the week. Fully compatible with WriteLog through a unique memory interface. I am also available for custom software to fit any special requirement you might have. Send an email to me and describe your special requirement to me. I can then send you a quote for it.